Celebrate Hispanic Heritage Month 2018 with these treasures from the Murphy Stump Library's rare book shelves! Desolación: Poemas is Nobel Laureate Gabriela Mistral’s first book-length published collection of poetry. Even though Mistral herself was Chilean and had won literary awards in Chile for her first collection, Desolación was published in New York City in 1922 by Carranza & Company for the Instituto de las Españas en los Estados Unidos. Our copy of Desolación is a first edition, printed by Carranza & Company in New York City in 1922. Desolación, which is considered one of Mistral’s best works, is divided into seven sections. All but the final two sections are poetry. While it largely focuses on themes of love, death, and sorrow, Mistral also delves into the natural world, a recurrent interest throughout her poetry. In keeping with its title (it means Desolation), it’s not exactly a happy collection. In fact, Mistral ends the book by begging forgiveness from God (and also the world’s optimists) for her bitter words. a este hablar de los hombres, tan oscuro! y te parezco un surtido inerte. 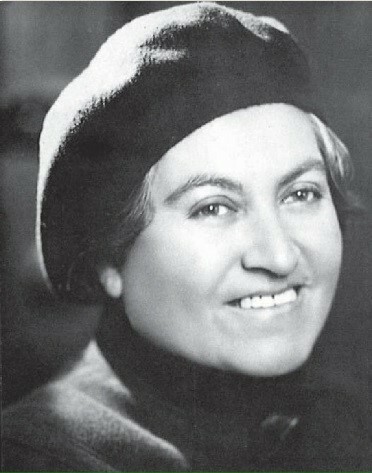 Lucila de María del Perpetuo Socorro Godoy Alcayaga (born April 7, 1889 in Vicuña, Chile; died January 10, 1957, in Hempstead, New York, USA), better known as Gabriela Mistral, was a Chilean poet, diplomat, educator, and Nobel Laureate. Mistral began her long career in education at the age of fifteen, when she took a job as a teacher’s aid to help support her family. She would go on to be instrumental in educational reform in both Chile and México, and would teach literature in numerous universities, including the University of Puerto Rico. She would also serve in the League of Nations; as a Chilean consul to several European nations and the United States; and as the Chilean delegate to the United Nations, among other diplomatic endeavors. Mistral, whose fame grew after a spate of tragic love affairs and whose socially-conscious verse would occasionally get her into trouble with the Chilean authorities, would in November 1945 become the first Latin American, and only the fifth woman, to win the Nobel Prize in Literature. Mistral created her pen name from the names of two of her favorite poets: the Italian Gabriele d’Annunzio and the French Frédéric Mistral. It is evidently a lucky name: Frédéric Mistral was himself one of two 1904 Nobel Laureates in Literature (the other was the Spanish dramatist José Echegaray Eizaguirre). Aves Sin Nido: Novela Peruana is Puervian writer and activist Clorinda Matto de Turner’s first published novel—prior to its publication, she had focused largely on nonfiction, which she would continue to write as well. Our copy was published by F. Sempere y Compañía in Valencia. In Aves Sin Nido, Matto de Turner focuses on the mistreatment of native Peruvians, setting her tragedy in a small village high in the Andes. The novel has been compared to Harriet Beecher Stowe’s Uncle Tom’s Cabin as well as to Helen Hunt Jackson’s Ramona. Its characters were average (but tragic) people from Peru, which was at the time radical: other works featuring indigenous Peruvians were set in the past, and often had princesses and conquistadores. Matto de Turner, on the other hand, wrote about middle-class Peruvians in the same Peru in which she (and many of her readers) lived. Aves Sin Nido, which delves into the corruption of the clergy and violence and civil rights violations against indigenous Peruvians, follows the people of a small town much abused by a volatile governor and a corrupt priest, centering on a love affair between a young indigenous woman (Margarita) who, along with her sister, is brought up by a local progressive white couple after their parents’ murder and the stepson (Manuel) of the very same volatile governor. After a time, Margarita’s adoptive parents take her and her sister to Lima, hoping to escape the problems—and small minds—of Kíllac. Manuel follows, and it looks like everyone might live happily ever after despite the tragedies of the past. But it is not to be, and Aves Sin Nido ends tragically: our lovers cannot marry, for they are (half) brother and sister, fathered by the same philandering man, the former parish priest of Kíllac…who is now a Bishop. cuyos sollozos acompañaban el dolor de aquellas tiernas aves sin nido. Grimanesa Martina Matto Usandivaras de Turner (born November 11, 1852 in Cusco, Peru; died October 25, 1909 in Buenos Aires, Argentina), better known as Clorinda Matto de Turner, was a Peruvian writer, editor, activist, radical, and well-known regional subversive. In addition to being both popular and scandalous, her novels were precursors to several important Latin American literary traditions, including indigenismo, and she helped moved Peruvian (and Latin American) literature away from romanticismo and into naturalismo. Matto de Turner, who was baptized Grimanesa Martina Mato Usandivaras but always called Clorinda by her family and friends, added the second “T” in her surname because it sounded more Incan. She collected de Turner when she married an English doctor of that surname. 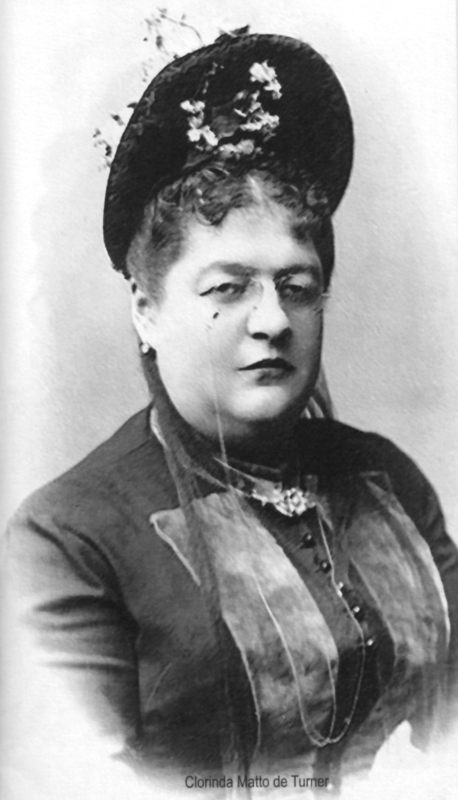 She had begun working as a journalist before his death in 1881 left the estate bankrupt. Her career enabled her to support herself as a journalist and editor—and then to become a famous (and scandalous) writer. Matto de Turner’s activism and writing career was so scandalous, and so subversive, that she was exiled from Peru, where she was burned in effigy (many of her books were burned for real). She was also excommunicated. She was an indefatigable individual, however, and excommunication, exile, and burnings-in-effigy did nothing to slow her down. She continued her activism until her death in 1909 in Buenos Aires, Argentina, leaving behind a legacy of revolutionary literature, the seeds of indigenismo in 1930s Latin American literature—and revolutionary social activism.